Hi Earthschoolers! As you have probably discovered by now, every area of the world and every state in the United States has a different set of rules for how they want to regulate your homeschooling experience. Some areas simply require that you submit a short list of what you are doing for the year, other states require that you consult with a teacher each month and other states require more detailed documentation. We have designed this page as a resource page for Earthschooling members so you all can find the resources you need to fulfill the requirements in your area. This is an ongoing project and one that is “in progress” at the moment so if you have information to share please share. The more contributions we receive the more complete this page will be! We can only provide resources that are specific to Earthschooling or help answer questions about how Earthschooling can fit into your state’s requirements (if you send them to us, we do not have the staff to do the research for you). To find resources specific to your state, forms, local groups that can help you and more you can check the HSLDA website HERE. Earthschooling can provide your family with these documents. They can be sent to you or directly to your state. Let us know. You can order these items HERE. We can adapt the look of the certificate our transcript or what is written on the certificate or transcript to the language required by your area. Since members live in different areas of the world we realize that the needed language may differ. Please let us know if you need any modifications to the documents or they will be sent as they appear in the photo. Do you need us to make any changes to the standard format we use below (different states, regions or countries might require different wording)? What is your child’s full name? What grade of Earthschooling are they currently enrolled in? These letters are provided by e-mail to all members (upon request) for free. Which e-mail address(es) do you need this letter sent to? Should it be addressed to a specific person? Earthschooling works with certified teachers, provides core standard charts to administrators, and weekly contact with a certified teacher. 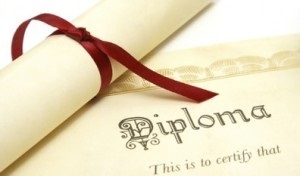 Earthschooling can also provide certificates and certified transcripts to students. This is sufficient to fulfill most regional requirements for accreditation. If your region/state has specific requirements for your student please check with them to make sure these are sufficient. Note that most states in the United States, Canada and Australia do not have accreditation requirements for homeschooled students. These services are usually used by our International students. We offer you the opportunity to consult with one of our teachers on a regular basis to fulfill your state requirements or to get regular help from a certified teacher. You can purchase these services HERE. Some states require that you show how Earthschooling meets their common core curricula standards. We can help you through this process. All you need to do is submit a list of your state’s common core curricula standards in the format below. You can submit data for one grade, more than one grade, one subject or whatever you need. You can easily find a list of core standards for your state or region by going to a search engine and using the terms “(Region), Core Standards”. For example, to search for Iowa core standards I put in the term “Iowa Core Standards” and it takes me to this website here: https://iowacore.gov. Usually the page you are looking for will end in .gov and will come up at the top of the search engine page. Some states/regions have a more organized website than others. The Iowa website required that I go to multiple pages to download what I needed. Other states have everything on one page. Be sure to check at the bottom of this page to see if we have already done your state. Once we do a state/region we post it below so other members can use it. We will then return it to you in the format below. Below you will find all the ones that have been submitted which we have finished. You are welcome to use any of the documents below for your state if you happen to live in a place that has an Earthshooling core standard already. How Can I Save Money at Earthschooling?